This is a sponsored post written by me on behalf of CANADA DRY is a registered trademark of Dr Pepper/Seven Up, Inc. ©2014 Dr Pepper/Seven Up, Inc. for IZEA. All opinions are 100% mine. Growing up in Boston as a child, some of my fondest memories are of summer evenings, sitting on the porch with my grandmother, drinking 7UP. To this day, just a sip of 7UP takes me back to those warm summer evenings. If you are a fan of 7UP or any of the other participating flavors, now is the time to score a Canada Dry shaker at Target. Now you can grab a great deal at Target just by purchasing your favroite sodas. All you need to do is buy any three (3) Diet, Regular or TEN Canada Dry, 7UP, A&W, Sunkist or other participating products & get a FREE Canada Dry Shaker (Exclusively at Target). Starting Nov. 9th. Participating Products: ​12 pk. cans and 6 pk. or 8 pk. bottles of Cactus Cooler, 7UP,Country Time, Sundrop, Diet Rite, Diet Sunkist, Sunkist, A&W Cream Soda, Diet A&W Cream Soda, Diet A&W Rootbeer, A&W Rootbeer, Hawaiian Punch, RC Cola, Diet RC Cola, Canada Dry, Diet Canada Dry, Tahitian Treat, 7UP TEN, A&W TEN, Canada Dry TEN, Sunkist TEN, Squirt, Diet Squirt, Diet Sundrop, Diet Vernors, Vernors, Diet 7UP. 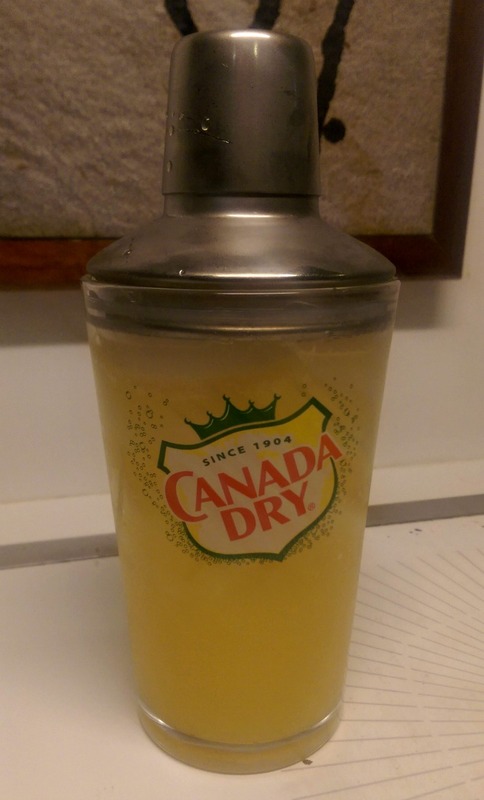 Go to the Soft Drink Aisle of your local participating Target store, where you will find a section featuring the participating items, along with the Canada Dry Shakers on the top shelf. Look for an 11×11 “Shake Up The Season” sign featured in this section will detail the offer: Mix and Match purchases of any three Diet, Regular or TEN Canada Dry, 7UP, A&W, and more beverages: 12 pk. cans and 6 pk. or 8 pk. bottles. Please note: This offer is exclusive to Target, and is not found at other retailers. 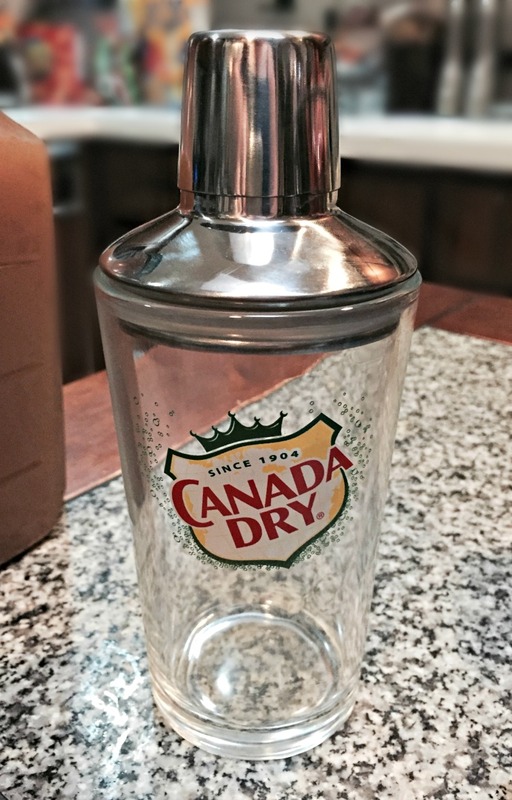 Bring the participating items you’ve selected to purchase, along with the Canada Dry Shaker, to the front checkout. The cashier will ring up your items, along with the Canada Dry Shaker, which will ring up at the full $14.99 price. After the cashier has scanned your 3 or more participating items and the Canada Dry Shaker, they will then scan the FREE Canada Dry Shaker Coupon, which is printed on the side of Canada Dry Shaker box. It’s that easy! And as a bonus, you will recieve a $1 cash back offer from Jingit! Keep in mind that this offer is only for a limited time, so head on over to Target and be sure to use the Target Cartwheel app to save an additional 5% on participating product purchases. Once you get home, you need to make a drink! My choice was simple, but oh so good. A little 7UP, a couple of splashes of orange juice, and a shot of vodka…shaken, not stirred.